Peony Lim is one of the UK's top fashion bloggers, with a wardrobe jammed with vintage Hermes and Chanel pieces to die for. Peony posts about everything from fashion to mouth-watering pictures of homemade comfort food; the truffle macaroni recipe looks delicious! We flicked through her latest style file photos and found our denim favourites from boyfriend jeans to skinnies, Peony has her own chic style nailed. 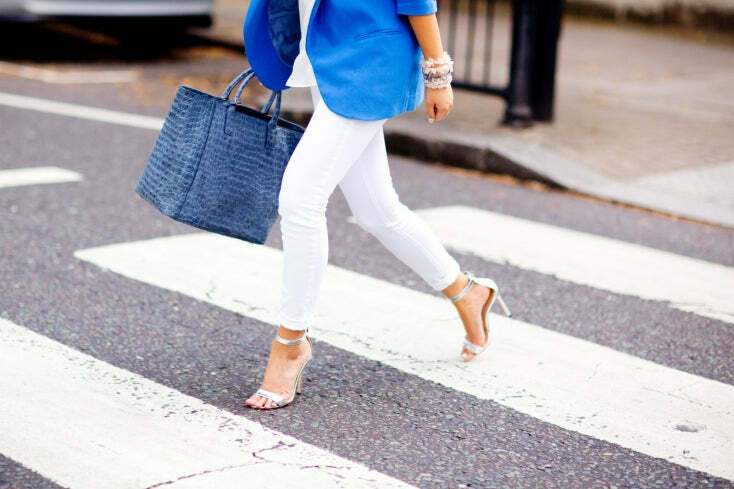 One tip we've taken from her is that you can't go wrong with denim, a tailored jacket and stiletto heels. Since starting her blog Peony has collaborated with many brands including LA brand J Brand, so it was about time that Donna Ida had a little chat with Peony about her successes in the blogging world. DONNA IDA: We love your name, how did you decide what to call your blog/business? DONNA IDA: Where did you study? DONNA IDA: How important is it to create yourself as a brand? DONNA IDA: How has your degree helped you to get where you are now? DONNA IDA: What do you love about street style pictures? 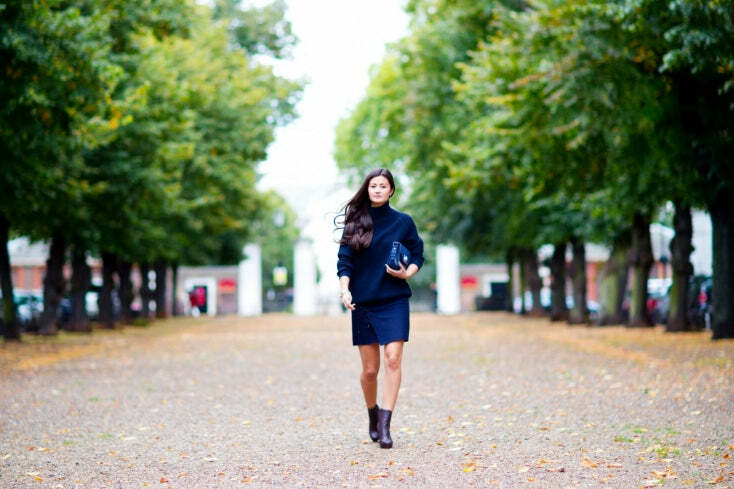 DONNA IDA: Where’s your favourite place to shoot your street style pictures? DONNA IDA: How has your idea of the fashion industry changed since you started your blog? DONNA IDA: What’s your first love: food or fashion? DONNA IDA: What’s your biggest achievement since starting your blog? DONNA IDA: Do you think Tim Walker’s photographs inspire your wardrobe? DONNA IDA: What inspired you to start doing city guides on your blog? DONNA IDA: What’s your favourite vintage piece from your own collection and why? DONNA IDA: Your success on the blogging scene has been huge! What advice would you give to fellow bloggers to increase their audience and an aspiring blogging star? DONNA IDA: Have you always been interested in fashion? DONNA IDA: So give us a sneak into your daily life, what is your typical working day? DONNA IDA: What advice would you give to a younger you? 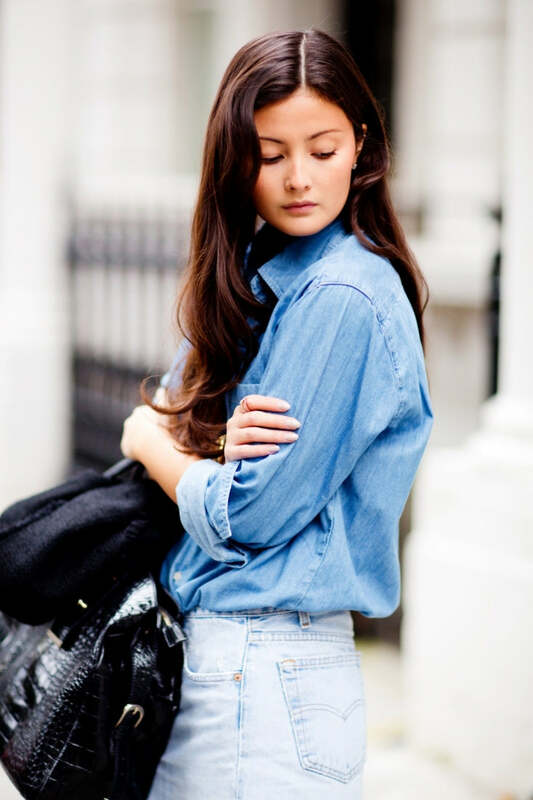 DONNA IDA: What’s your denim staple for this SS14 and how will you be styling it? 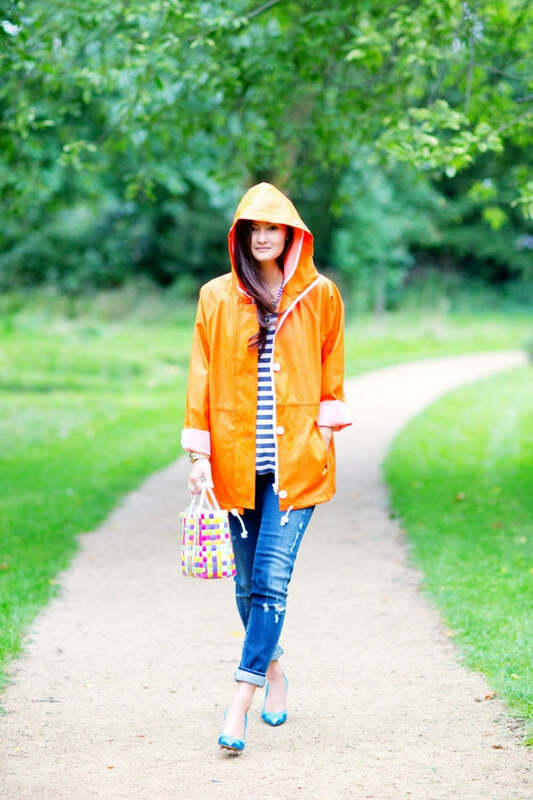 DONNA IDA:What’s your favourite season style wise and why? DONNA IDA: What are your wardrobe staples for a weekend city break? DONNA IDA: If you weren’t a blogger, what would you be doing now? See more from Peony Lim. Shop Designers. Read more Business of Fashion posts.